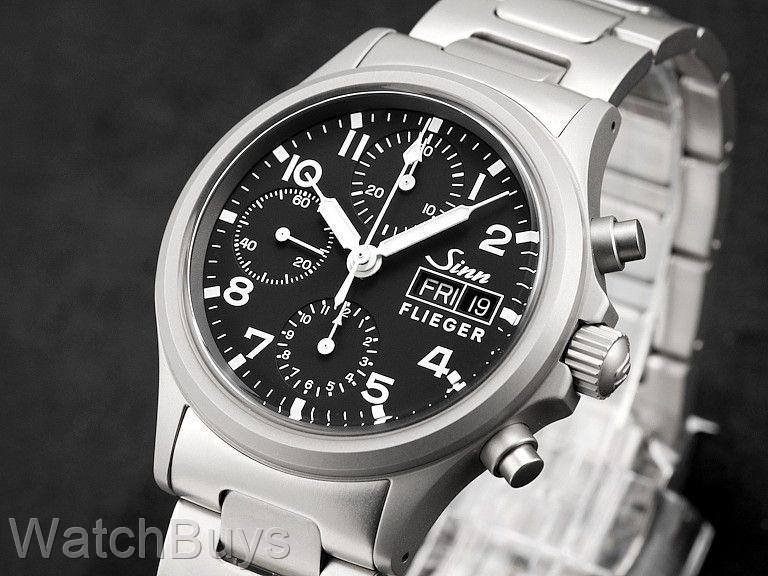 This version of the Sinn 356 Flieger features a domed sapphire crystal (instead of the acrylic cover used on original models). Case is in sand-blasted steel with solid case back. Other features include screw down crown with protective horns, domed sapphire crystal, screw in back and water resistance to 10 ATM. Bracelet is sand-blasted steel, is extremely well made and solid, and features a folding security folding clasp. "one of the best looking watches"
Verified Owner Comments: everybody likes this watch.